This book is step-by-step guide to implementing Dynamics NAV from start to finish. If you are new to Dynamics NAV or have been implementing it for a while, the book will lead you from start to finish, teaching you how to deploy valuable implementations. This book is also for Dynamics NAV implementation consultants, project managers, and developers that want to get a deep view of what Dynamics NAV 2013 can offer, as well as NAV developers that want to learn more about the whole application. IT managers considering the implementation of Dynamics NAV 2013 in their organizations will fully understand what to expect and how to accomplish it upon reading this book. 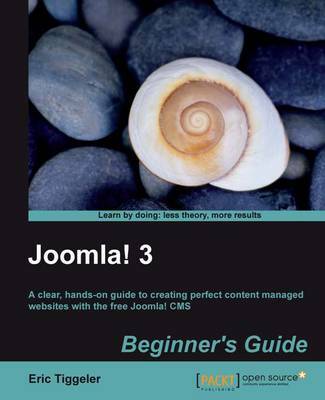 We are already up to version 3 of Joomla. Hey, I am going to omit the exclamation mark. I think it's pretentious. In the book's favour is that inside its covers, it likewise drops the symbol.